This sassy new creation combines the sophistication of a light perfume spray along with the moisturizing properties of oil. 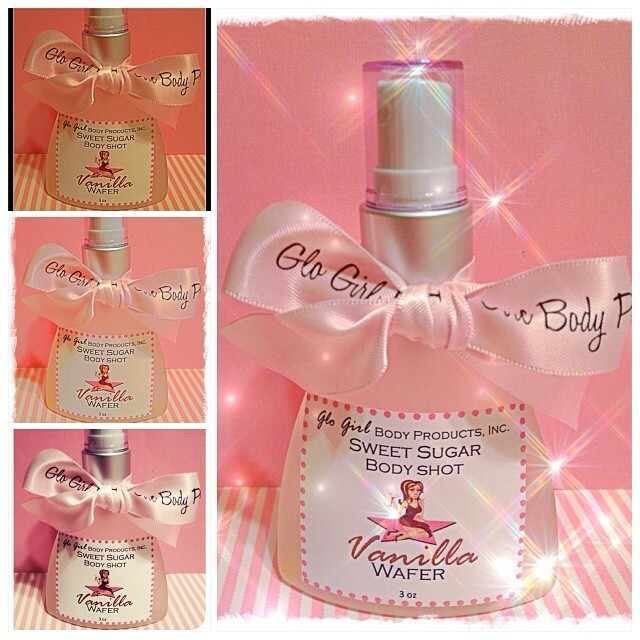 Our Sweet Sugar Shots go on dry, not greasy and leaves your skin feeling silky smooth - and the scent lasts and lasts. Our Sweet Sugar Shots come in a beautiful 3 oz. frosted glass perfume bottle. The bottles topped off with our signature girlie girl bow and hang tag.